In Outlook 2007 and 2010 for Windows, it always offered an ‘Unread Mail’ folder, where you could instantly see all of your unread mail regardless of folder. I use a lot of rules to push mail into different folders, alerts from servers, reports on stuff, facebook alerts, twitter, etc etc. I want the mails but just not in the mail Inbox. Anyway, I tried to live without it, but it just irritated me until I HAD to replace it. So, here’s my step by step, it’s not rocket science, and about halfway through you’ll get it and probably ignore the rest… Here goes. Outlook 2011 has a concept of ‘Smart Folders’ you should see them in the LH folders column. Open Outlook, click the search box. This opens the search ribbon, click ‘All Mail’ button. Now click the little + symbol to add another condition. That’s it, you’re done. Now whenever you just want to see all your unread email, just click on the smart folder you saved. Also, you can now sort that folder in whatever way you like, my preference is to sort by folder or conversation. Thx a lot. This saved lot of my time. Thanks! I don’t know why this isn’t part of Outlook already – and that we had to go thru this effort – thanks for sharing this easy fix. That’s Apple for you! Not much to be done, I deal with a lot of Apple kit nowadays and it’s always a trade off here and there. Outlook for Mac is the most frustrating, it’s just not on a parity with Outlook for Windows, and until Microsoft change their ethos that “convert to Windows to get all the features” will cure all…. It’s annoying that they wear 2 hats a software AND an Operating System manufacturer. There’s no cure for the iPad thing I’m afraid, well, not one I can think of. Thank you for doing this. Very simple instructions, much appreciated. Thanks for sharing. Great fix, clearly written and well illustrated! You have a real knack for explaining simply and clearly. It there away to get the number of unread mails displayed next to Unread mail? just like the inbox does? No is the short answer. Smart folders are essentially saved search, so they activate the search on the fly when you click it. In order to keep an unread tally it would have to continuously envoke spotlight to keep checking. That would send the mac processor through the roof. Superb tutorial. Saved me a ton of time. Thank you. thanks a millions Luke. This has worked and saved a lot of effort. and is it possible to move/mark the smart folder/unread mail so it will be on top of the folders list and not at the bottom? Thanks so much for providing this how to. I had a VP who needed that folder, and wow, did that work out easily. I have been struggling in my new job without this and you are a saviour! Thank you very much. 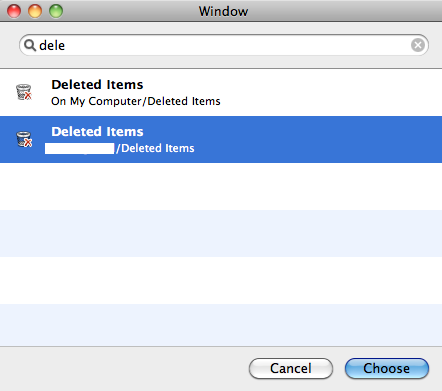 I just started working for Free People (an Urban Outfitters brand) and as a guy who has been a Windows user his entire life, moving to Outlook for Mac was a bit jarring for me. I had 1 unread message somewhere in the last 2 year and this method found it. Very clear instructions, too. Thanks! Great Help!! Great visuals! Thank you. awesome tip here!!! I can’t believe Microsoft doesn’t have it set up already. But sometimes I think they deliberately handicap the Mac platform. Oh well. Amazing!!! you rock! thank you!!! this is the best help ever! thank you!!! Just want to keep giving you the love for Google as this scratched my itch perfectly! 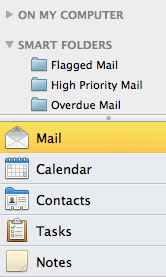 Just made the switch to Mac and was missing Unread Mail right out of the gate. Great instructions but I was stuck on the “save” step. Where is the “save” button???? WOW! You do such a fine job explaining!! Many many thanks! can I move that folder to the top on the LHS close to my Inbox, instead of staying at the bottom? the LH side list sorts alphabetically and has a heirachy (to a degree) where the officical folder of inbox, sent, deleted etc take precendence. You can give it a more alphanumeric name if you like ‘AA Unread Mail’ or ‘**Unread Mail**’ that should rattle it up the tree a little. Brilliant thanks, workable ! !, such a thing that looking for a long time.